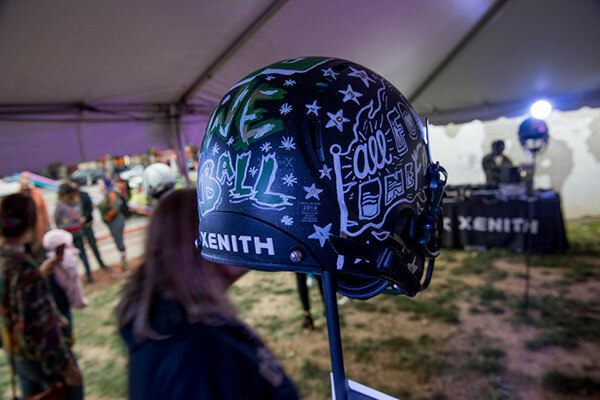 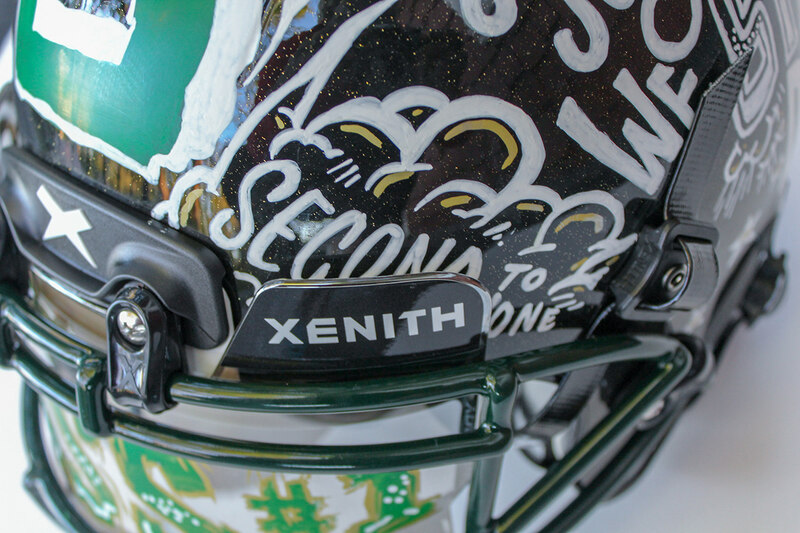 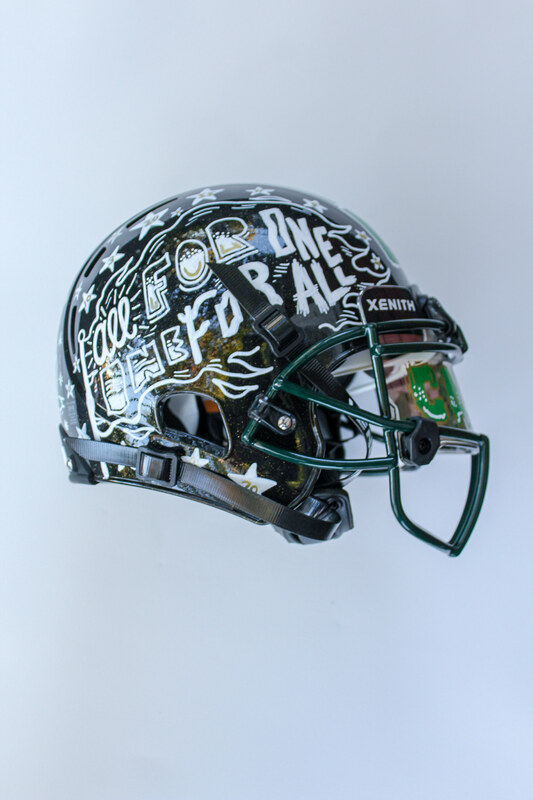 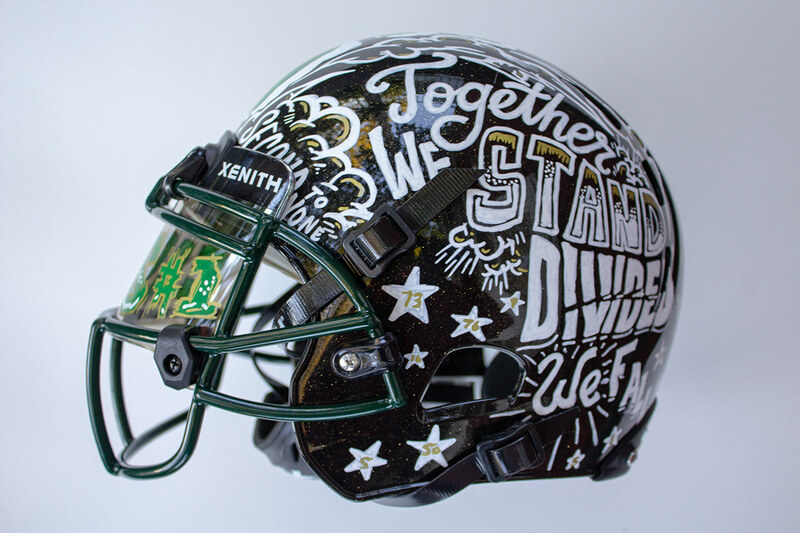 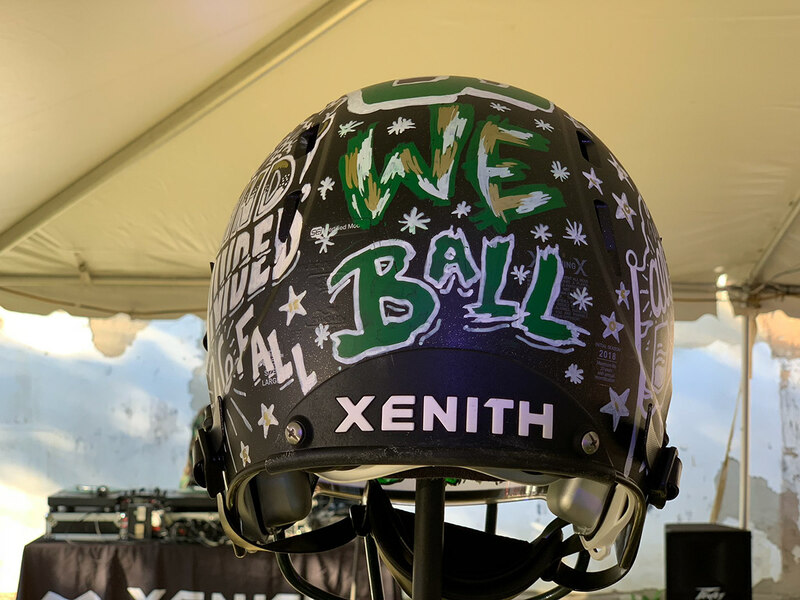 Xenith helmets contacted me to decorate one of 15 Xenith football helmets for display at the Light up Livernois festival. 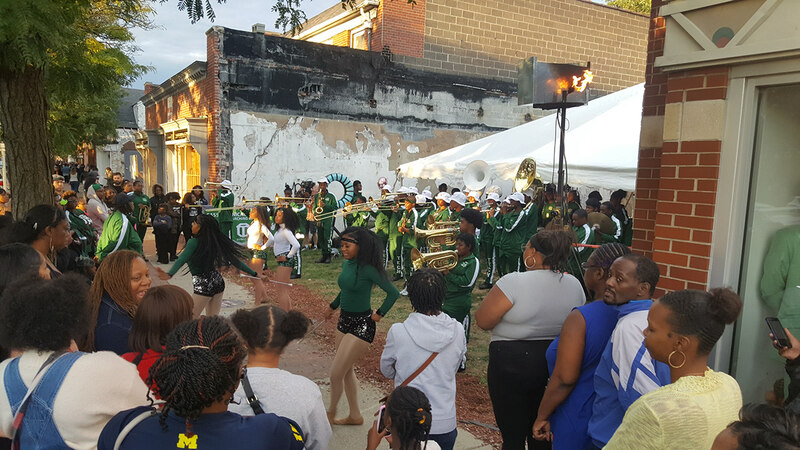 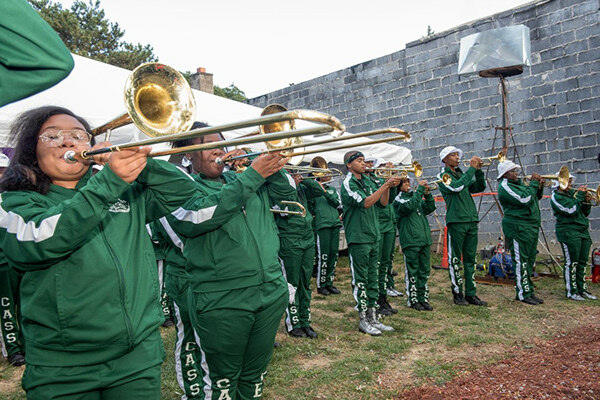 Each artist collaborated with a Detroit Public High School. 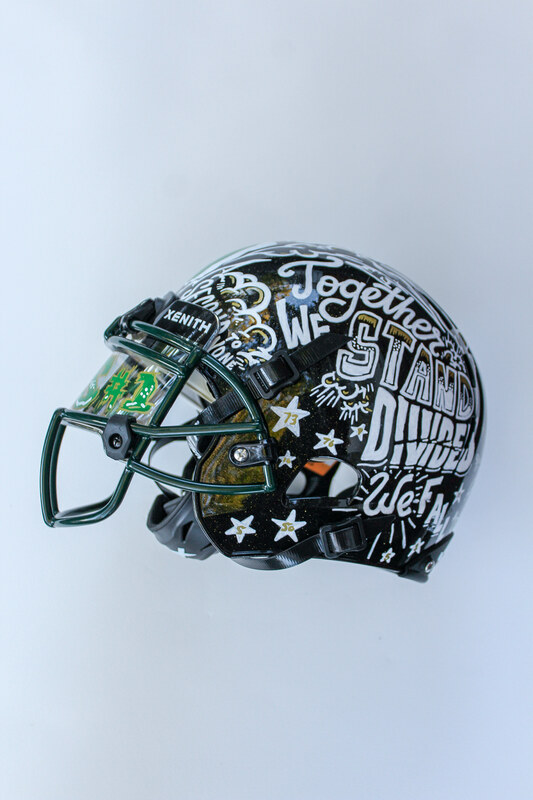 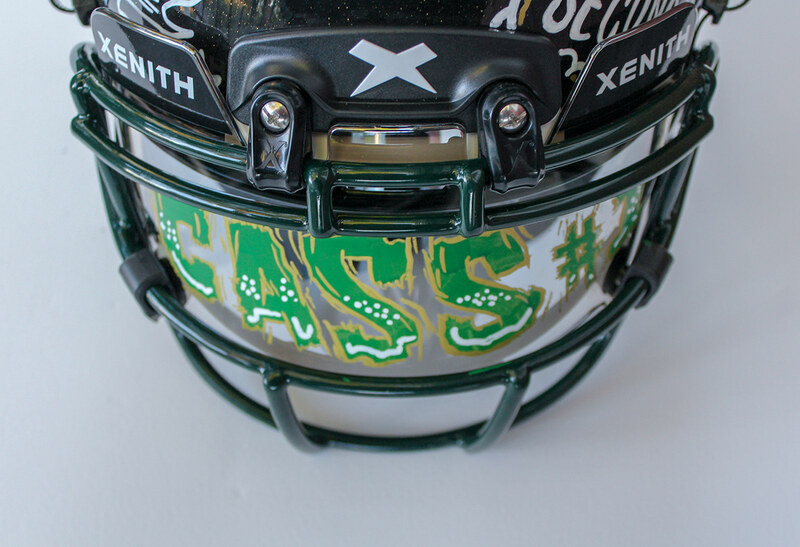 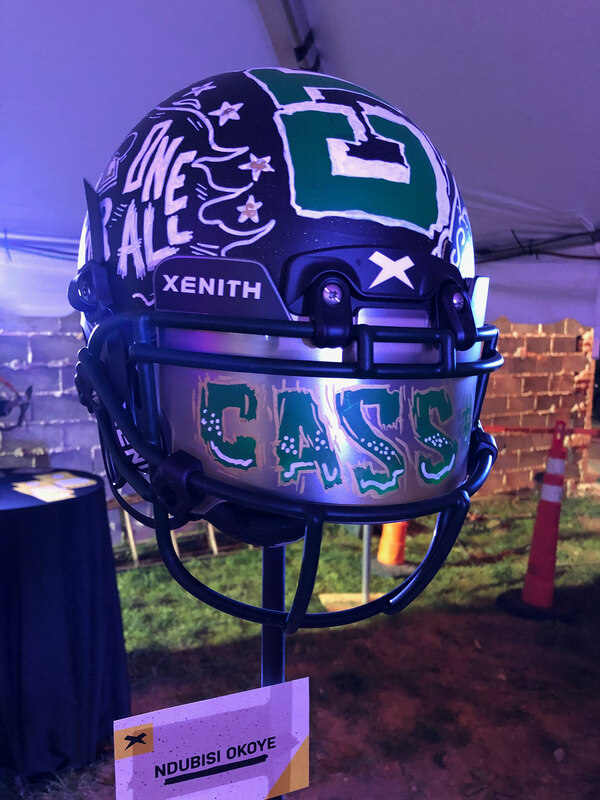 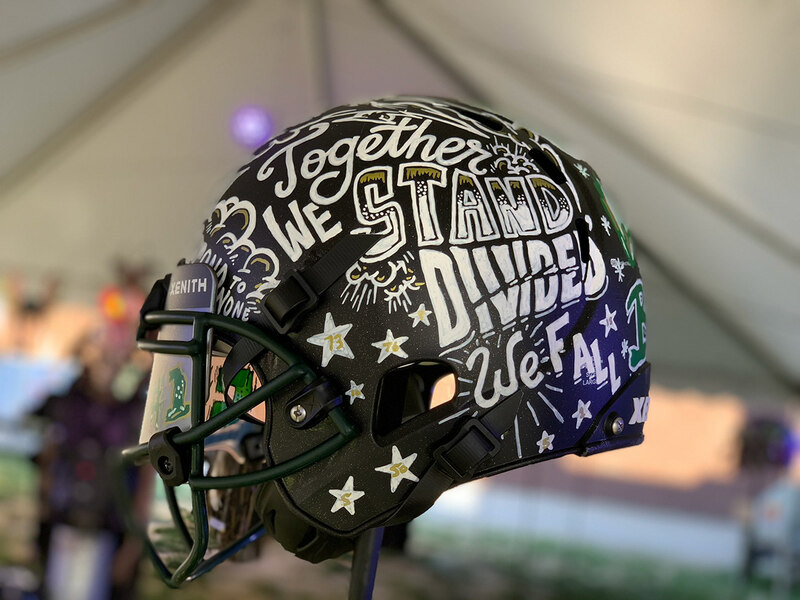 Theme I choose was unity and teamwork which are pillars of the Cass Tech Football program. 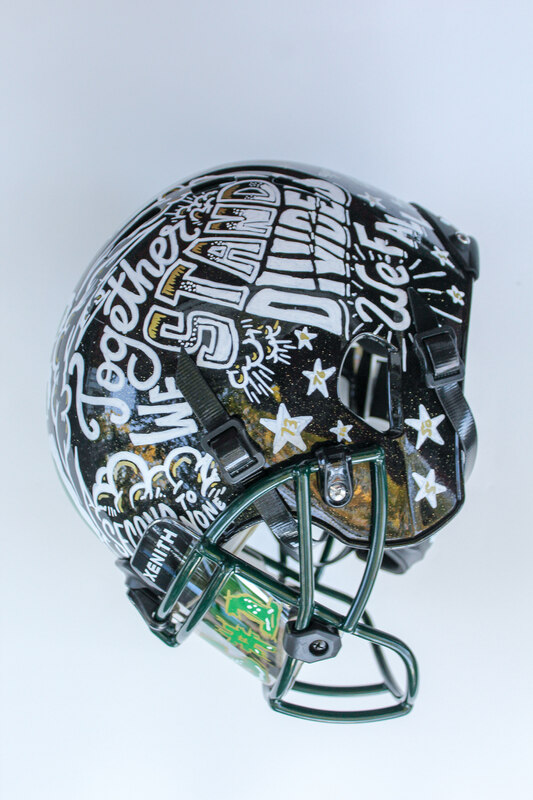 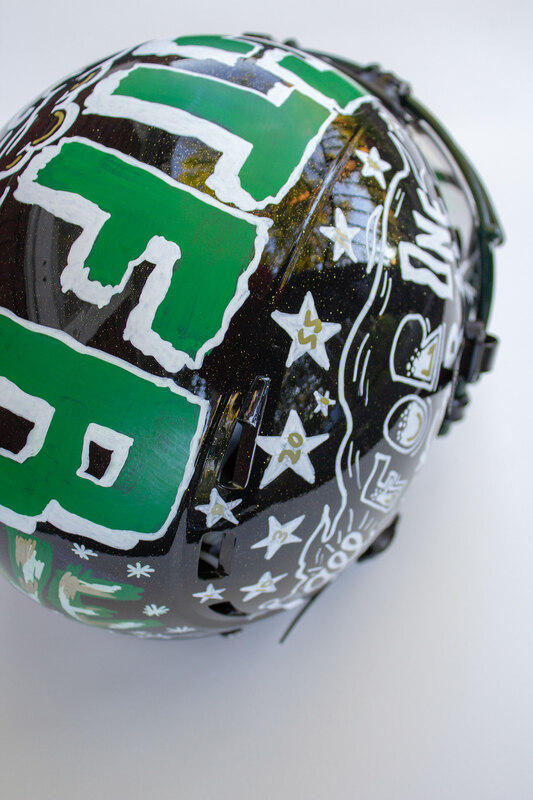 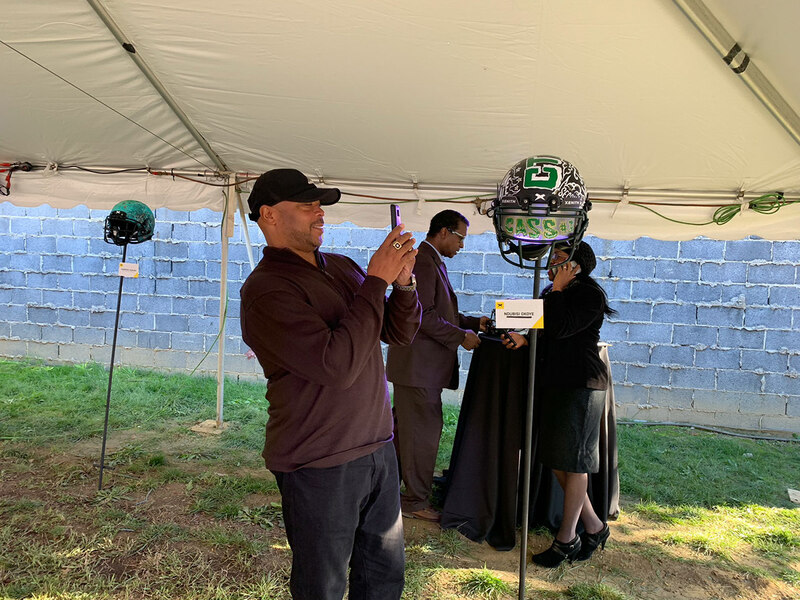 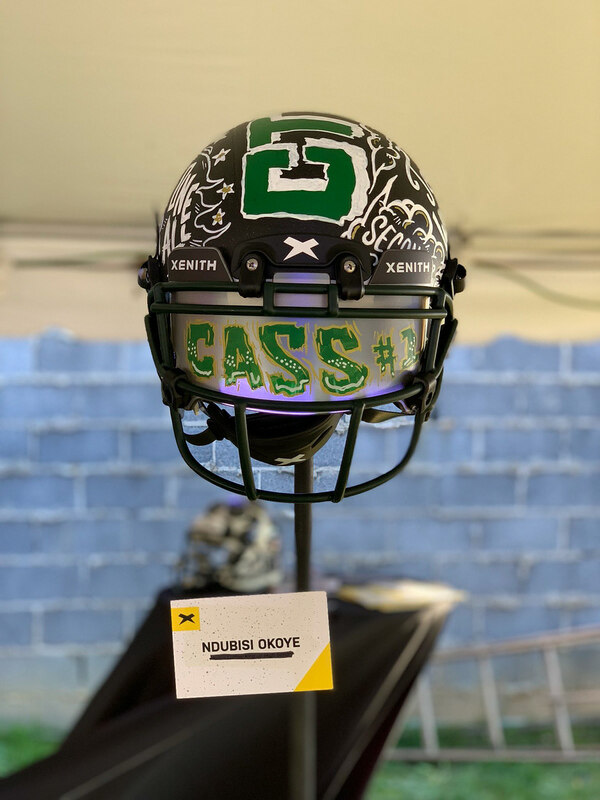 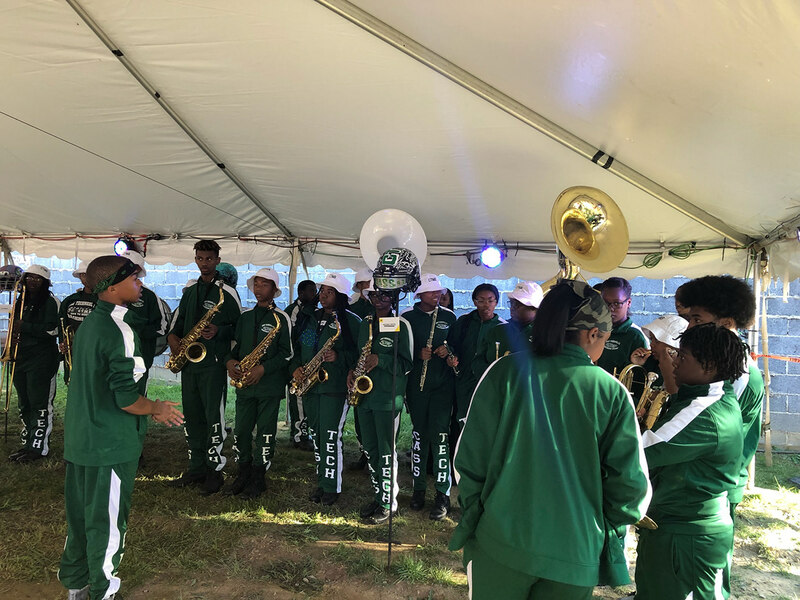 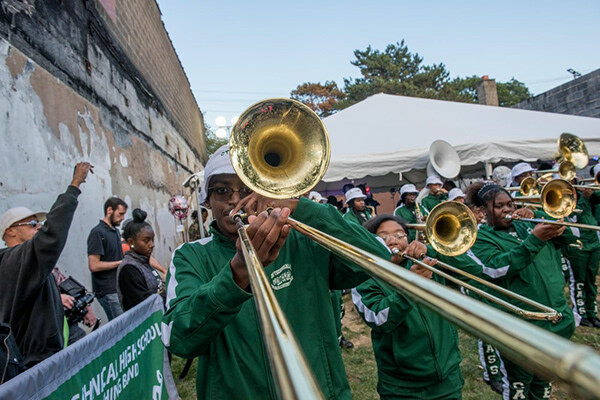 The design inspiration was a collaboration with between current Cass Technical High School players and me (an alumni of the school and football team). 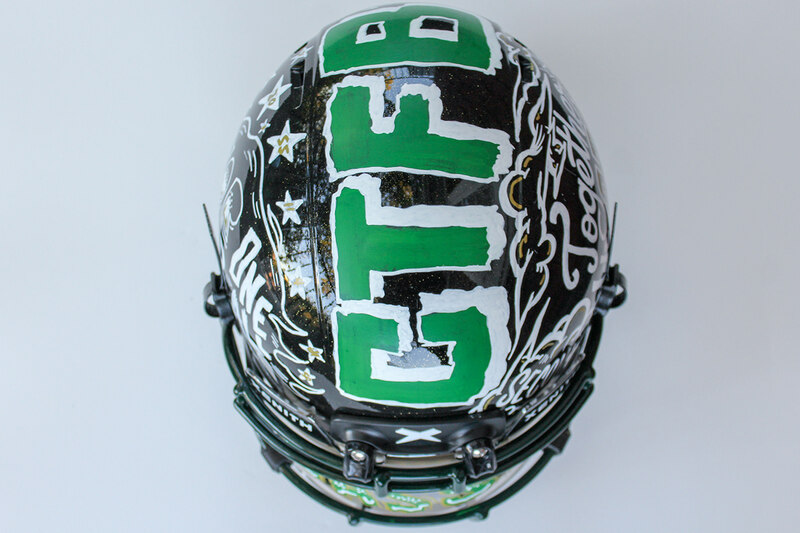 I used custom hand-lettering, design, and illustration to complete the project. 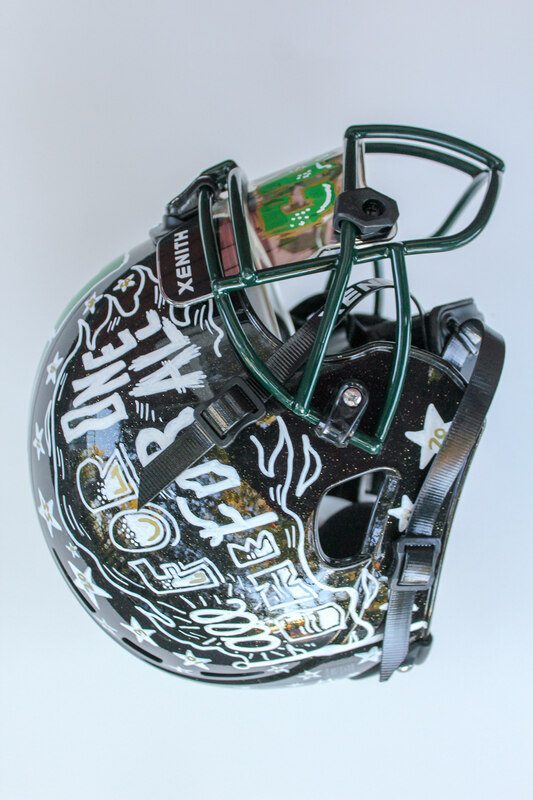 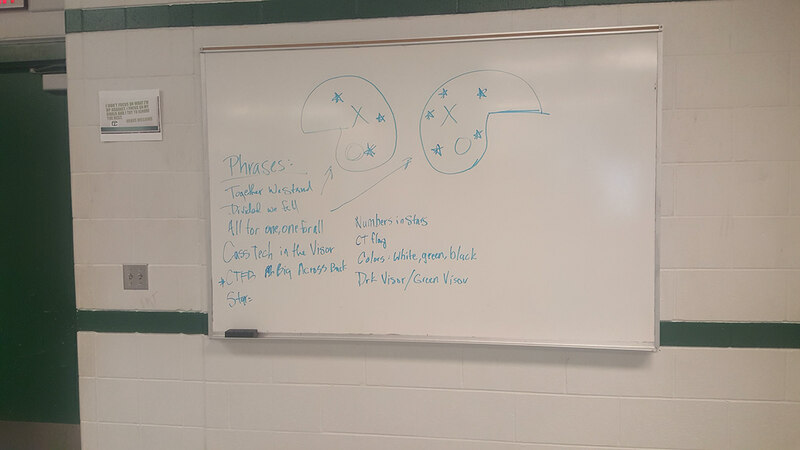 of the football helmet market nationally (pro and amateur).